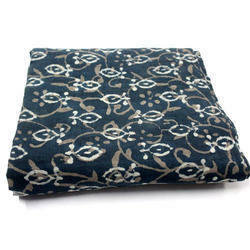 Prominent & Leading Manufacturer from Jaipur, we offer vintage kantha bed cover, kantha indigo printed bed cover, handmade kantha bed cover, cotton kantha bed cover, kantha bed cover and kantha indigo bed cover. Prominent & Leading Manufacturer,Exporter,Wholesaler from Jaipur, we offer bed cover, designer bed cover, home designer bed cover, printed bed cover, simple bed cover and printed cotton bed cover. 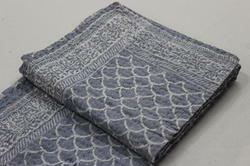 As a quality focused firm, we are engaged in offering a high-quality range of Hand Block Printed Kantha Bed Cover. This is a special hand crafted Handmade Hand Dyed Hand Block Printed Kantha Bed Cover . The entire quilt is painstakingly embroidered with thousands of small and delicate kantha stitches to create a one of a kind masterpiece! Design :- Hand Block Print . 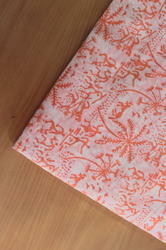 Front :- Running Kantha Stitching On Block Printed Fabric. 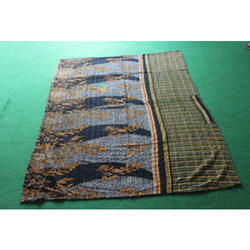 Back :- Running Kantha Stitching On Solid Color Fabric. 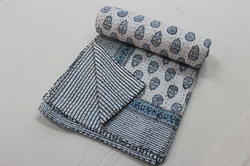 Fabric :- 100% Cotton, Hand Block Printed Fabric. 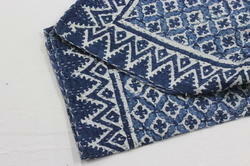 Usage :- Bedspread, Bedding Throw, Blanket Or Quilt. 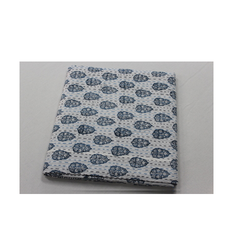 Hand Block Print Fabric Owing to our rich industry experience, we are manufacturing and supplying Indian Hand Block Print Fabric. These products are weaved and knitted following latest market trends by highly experienced professionals. Besides, we make sure that the consignments are timely delivered at customers’ destinations using easy shipment modes. 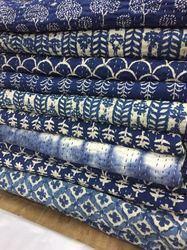 Looking for Kantha Bed Covers ?